If you are not yet a user, you create a new account, otherwise you will be authenticated. Add Credit or Debit Card to add funds. The RevoluPay® application, works as a digital wallet for transactions worldwide, is compatible with payments on travel websites of the company CUV Ventures Corp and other services offered by Associated Companies. The application shows the balances in CCU Coin that maintains a fixed exchange rate with the € uro, and therefore with all the currencies that are quoted in international markets. 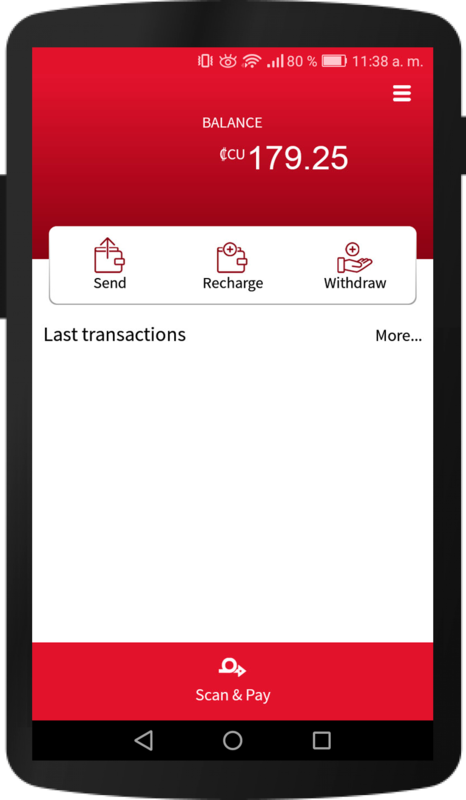 Charge funds to the digital wallet through Bank Transfer or Credit or Debit Card. Transfer your funds from the digital wallet to other users of the RevoluPay® application. Receive remittances instantly from family and friends around the world. Transfer your funds from the digital wallet to a bank account. •	Pay for the services offered by the associated companies, see listing at . 1 CCU Coin = 1 €URO. Developed in synergy with Revolupay® and the RevoluFIN lending platform, CCU Coin for internal use among the companies of the CUV VENTURES Group and Associated Companies; It is the currency of payment and is linked to the main fiduciary currencies. CUV Ventures Corp a publicly listed company on the Toronto Stock Exchange. Revolupay SL is a company registered in Spain (B67233817). Revolupay SL is legaly authorised by the Spanish Authority. © Copyright 2017. All Rights Reserved. Our website is currently under development, please excuse the inconvenience.